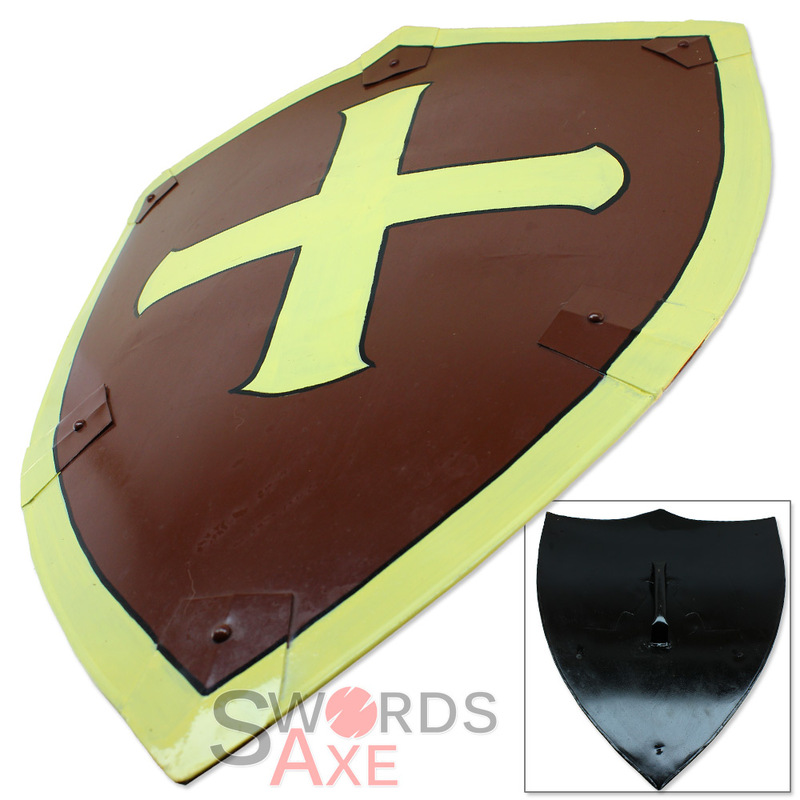 All steel construction and hand painted with the famous golden cross and trim design. 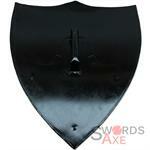 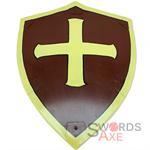 Has a durable steel handle on the back that is welded to the shield. 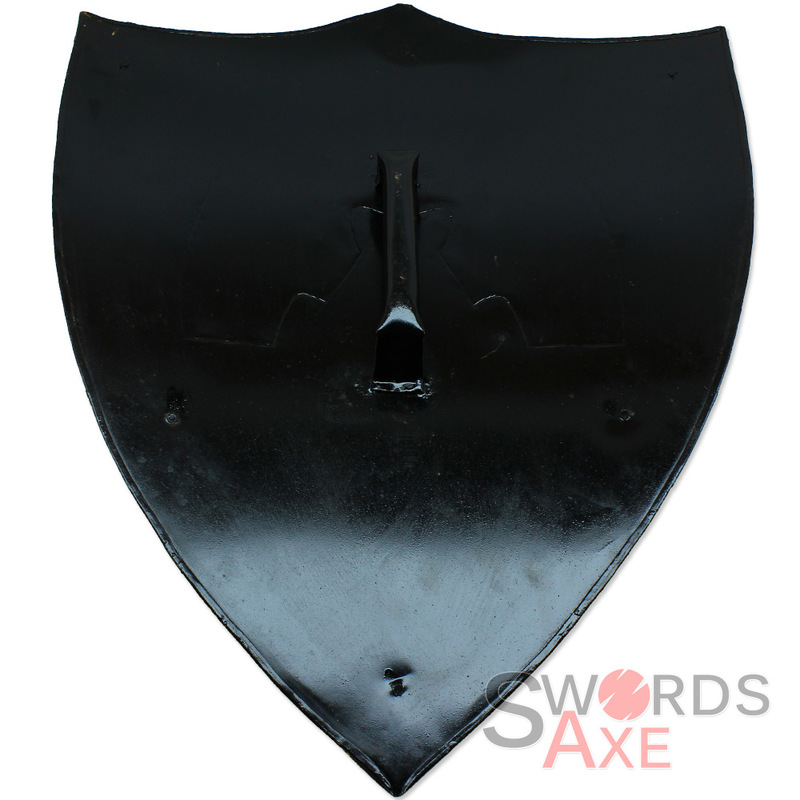 Six corner edges have folded steel with rivets to provide additional design appearance and also rigidity to the shield. Note: This is a handmade collectible and may contain slight imperfections which are unique to each piece.